George is a 1965 graduate of Cornell where he earned his B.A. degree, followed by a M.D. in 1969 from the Cornell Medical College University. Most recently, George was the recipient of the CFA's 2017 Lou Conti Life Time Achievement Award. He also serves on the Board of Directors of the Cornell Football Association, is a Cornell Alumni Ambassador CAAN and the founder of the Arangio Family Cornell Arts & Sciences Scholarship Fund. George is member of the College Football Hall of Fame, Pennsylvania Chapter, as well as, the Lehigh Valley Football Hall of Fame. 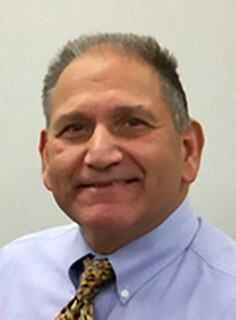 Upon graduation from Cornell Medical School, George began a distinguished professional career as an Orthopedic Surgeon with an emphasis initially on the knee joint and later with a foot and ankle practice. After Cornell, George studied at Temple and the University of Pennsylvania, and served as a Lieutenant Commander in the U. S. Navy Medical Corps in Orlando, FL. George’s Board Certifications include Fellow of the American College of Surgeons, Fellow of the American Academy of Orthopedic Surgeons and the American Orthopedic Foot and Ankle Society. George entered private practice in 1976 and in 1990 was a founding partner of VSAS Orthopedics from which he retired in 2009. In 2000, during a sabbatical, George studied at the Johns Hopkins, Mayo Clinic, Miller Clinic and Rizzoli Orthopedic Institute in Bologna. Later, he undertook additional studies at Maryland and the Hospital for Special Surgery in New York. During his highly productive career, George held faculty appointments at Cornell, Florida State, Lehigh, Drexel, Penn State and Desales University. During his professional career, George was a prolific researcher, who published over 35 articles either solely or cooperatively. Two of his articles are considered classics for orthopedic students. George also was asked to referee numerous manuscripts. Additionally, he was a sought after lecturer for professional and leadership events both before and after his retirement. He remains Emeritus Senior Consultant in the practice he founded. In 2013 he served as the President of the Lehigh County Medical Association. He continues to be active in professional, service and philanthropic projects in the Lehigh Valley. Despite his heavy professional workload, George has made time to give back to Cornell for the outstanding undergraduate and Medical School education he received in Ithaca and NYC. George has given time and treasure to Cornell and in support of the Cornell Football Program. He also attends most home games.